Master glass artisans blend quartz with other minerals to create Clear Quartz glass drop pendant with gold-toned silver leaf canopy. Also in platinized silver leaf w/Natural Quartz & other glass options. Includes 10W halogen bulbs. LED bulbs available for purchase. 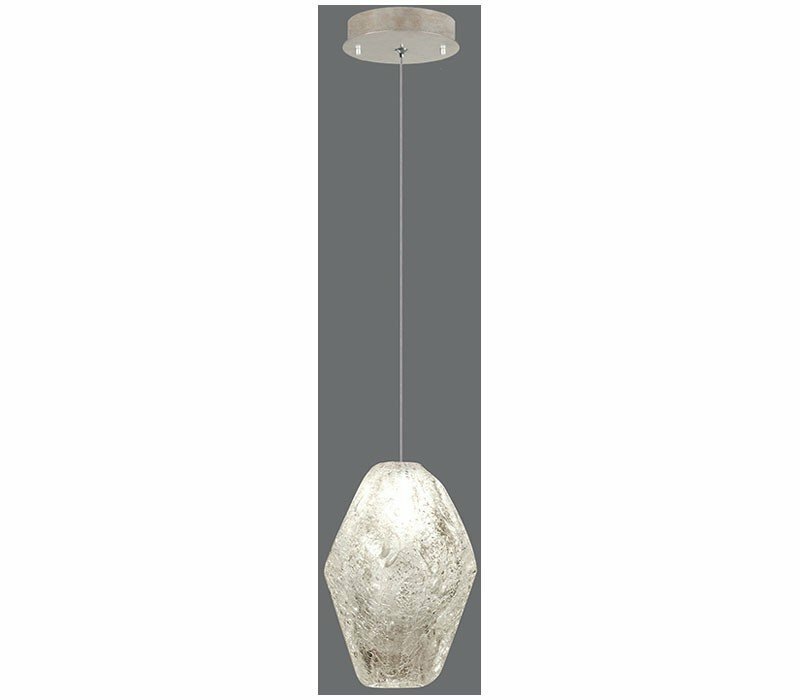 The Fine Art Lamps 852240-24 Natural Inspirations collection Pendant Lighting in Gold-Tone Silver Leaf uses Halogen light output and brings Modern style. This item is 5.5"W. The total wattage is 10 and the voltage is 120 volts. 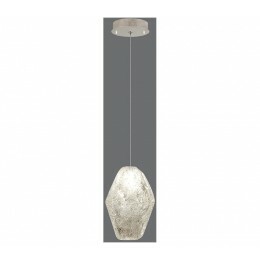 The Fine Art Lamps 852240-24 requires 1 bulb (included). Additional Information: Shade-Blend Clear Glass Quartz.